1.1 UNIT 7 DAY 1 - Features of Renaissance Music. 1.2 UNIT 7 DAY 2 - Musical innovations of the Renaissance. 1.3 UNIT 7 DAY 3 - The role of the musician in the Renaissance. 1.4 UNIT 7 DAY 4 - Education and European centers of music in the Renaissance. UNIT 7 DAY 1 - Features of Renaissance Music. ① Characteristics of Renaissance Music. Polyphonic Music performed in small groups, whether vocal or instrumental with soloists and polyphonic instruments. In the Renaissance we can only find polyphonic Music as composers abandon all monodic Music. The distinction between religious and secular music also disappears because there is no stylistic difference whatsoever. Polyphonic Music needs to be played in small groups, whether vocal or instrumental, with soloists and polyphonic instruments. This composition by Festa (16th Century) has all the vocal parts divided like they were partitas. UNIT 7 DAY 2 - Musical innovations of the Renaissance. 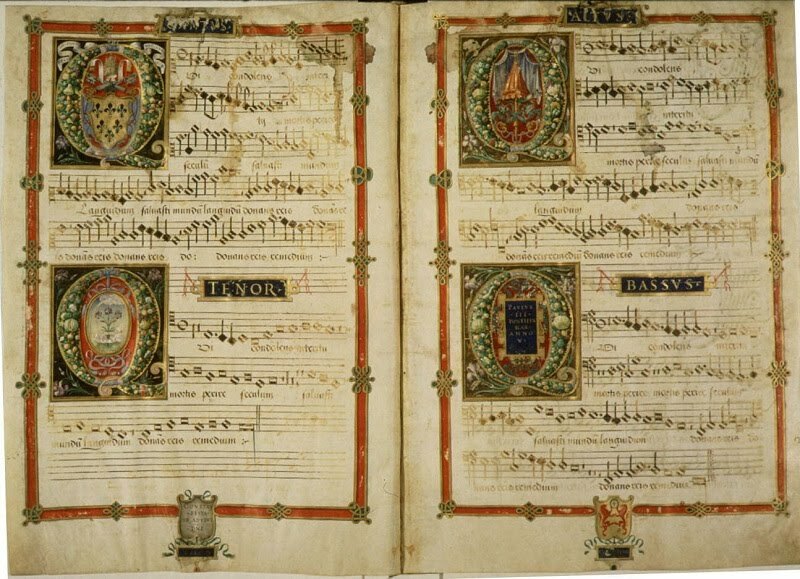 ① What are the main contributions of Renaissance Music? The transition from modality to tonality and the systematic use of counterpoint and harmony. There is almost no difference between what is written for vocal or instrumental genre. Everything can be played and also can be sung. The musical innovations are based on imitation writing such as Canon, Madrigals and various counterpoint compositions such as variations and tientos (for instruments). The main contributions of Renaissance Music are the transition from modality to tonality and the systematic use of counterpoint and harmony. UNIT 7 DAY 3 - The role of the musician in the Renaissance. ① Main schools of Renaissance Music. The Italian school, the Flemish school and the Spanish school. The musician changed its status with respect to the medieval musician. They change from a religious musician or a beggar that plays Music to the rank of an artisan. Every noble of good education has been at some point in their life a dilettante or amateur musician. There are also substantial differences in the education of the musician. In the Middle Ages, education centers were in a few geographic locations while in the Renaissance it could be learn anywhere. The Main schools of Renaissance music are the Italian school, the Flemish and the Spanish. UNIT 7 DAY 4 - Education and European centers of music in the Renaissance. ① Leading composers of the Renaissance. Palestrina, Josquin Desprez, Tomás Luís de Victoria and Antonio de Cabezón. 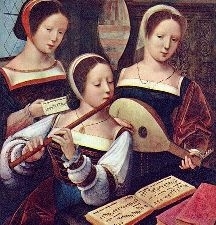 In this period, for example, the musician studying in Flanders (Netherlands) later works for almost all European courts, so that the compositional techniques expand creating an international style and being the cause of the expansion of schools such as the Italian or the Spanish. The musicians played the role of ambassadors of nobles and patrons, as it was an honor for the composer's patron that this musician wrote a masterpiece in a foreign court. Major composers of the Renaissance are Palestrina, Josquin Desprez, Tomas Luis de Victoria and Antonio de Cabezon. 1. Renaissance Music is characterized by being Polyphonic Music performed in small groups, whether vocal or instrumental with soloists and polyphonic instruments. 2. The main contributions of Renaissance Music are the transition from modality to tonality and the systematic use of counterpoint and harmony. 3. There is almost no difference between what is written for vocal or instrumental genre. Everything can be played and also can be sung. 4. The musician changes from a religious musician or a beggar that plays Music to the rank of an artisan. 5. The main schools of Renaissance Music are the Italian school, the Flemish school and the Spanish school. 6. The leading composers of the Renaissance are Palestrina, Josquin Desprez, Tomás Luís de Victoria and Antonio de Cabezón.